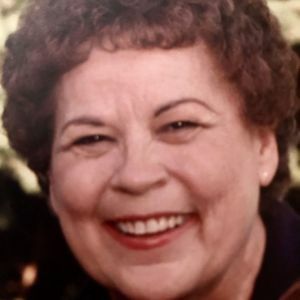 Kathleen Glynn Kraus, age 79 of Holland MI. passed away April 5, 2019 following a long struggle with Parkinson's Disease. Kathy, as she was known to family and friends, was born on March 14, 1940 in Minneapolis, MN to Joseph and Myrtle (Rudstrom) Glynn, but raised by her step-mother Dolores Glynn. She spent much of her life in California where she worked for many years in the hospitality industry, and where she also became a life-long Dodgers baseball fan. She later moved to Atlanta, Georgia where she was employed in the accounting department at North Fulton Hospital. Kathy had many passions. She loved books, music, especially Elvis, movies and working on her computer. She even decided late in life to learn to sew. Sadly, the progression of Parkinson's made these passions more and more difficult to enjoy. One thing she never learned to do was cook, and even joked she didn't even know where the kitchen was. She will be fondly remembered by her devoted family for her kind heart, generous spirit and her sharp wit. She is survived by her five children; Therese (Dan) Bennett, Sandra Jacobson (Martin Sordo Rivas), John Etzel, Rebecca (Roy) Dumas, Michael (Sherry) Long, five grandchildren and one great-grand child. A very special thank you to all her helpers at Appledorn South, in Holland, MI, Karen who did her hair each Saturday, and Hospice of Holland. Thank you for all the wonderful care you gave her over the years. You made it feel like home to her and she loved you all. She was loved by all that knew her and she will be missed. The family is being served by Langeland-Sterenberg Funeral Home. No services are planned. Condolences may be left online at www.langelandsterenberg.com.